There are some categories that are decided and there are a bunch of ways the results can go in the final race in other categories. The Raven Rocks Run will decide the fates of everyone still on the cusp. Remember: ALL runners who complete the 2015 Trail Mix Series by running at least four of the six races in the series are eligible for automatic selection in the Leatherman’s Loop Lottery as long as they enter the Loop Lottery in January 2016. There are currently 66 runners with at least 3 races in the series under their belt. For the Women’s Trail Mix Series, Kori Krichko has a narrow lead over Tiffany Carson. However, in talking with Kori at Run The Farm she let us know she was moving out of the area before Raven Rocks so would miss her chance to get her 4th race in the series. In this case the women’s series will be decided between Tiffany, Rachel Massa, Lindsay Obrig, Tracy Lawrence-Black, and Teren Block. Each of these women could potentially notch a victory at Raven Rocks and secure the Trail Mix 2015 title. For the Men’s Trail Mix Series, Gerry Sullivan ran in all five Trail Mix races to date and has already locked up the overall Trail Mix #1 spot. 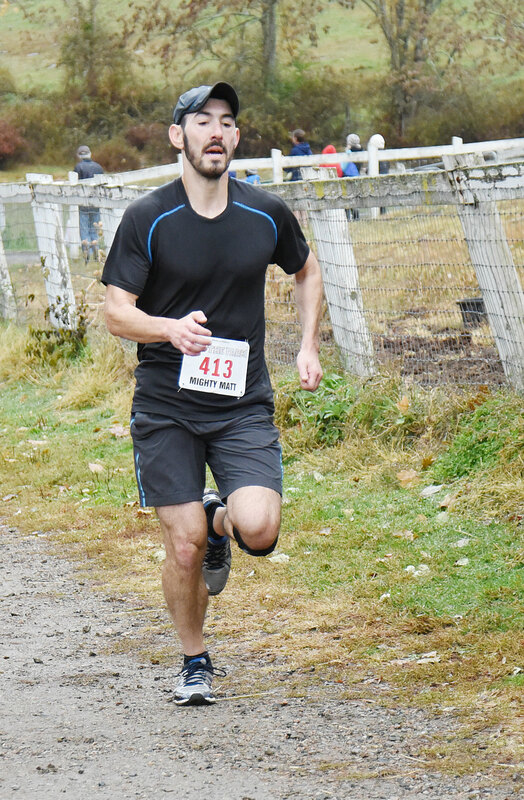 He does not even need to run in Raven Rocks to take the prize since it is mathematically impossible for second overall runner Michael Diblasi to catch up with him, even with a perfect 100 point finishing score. 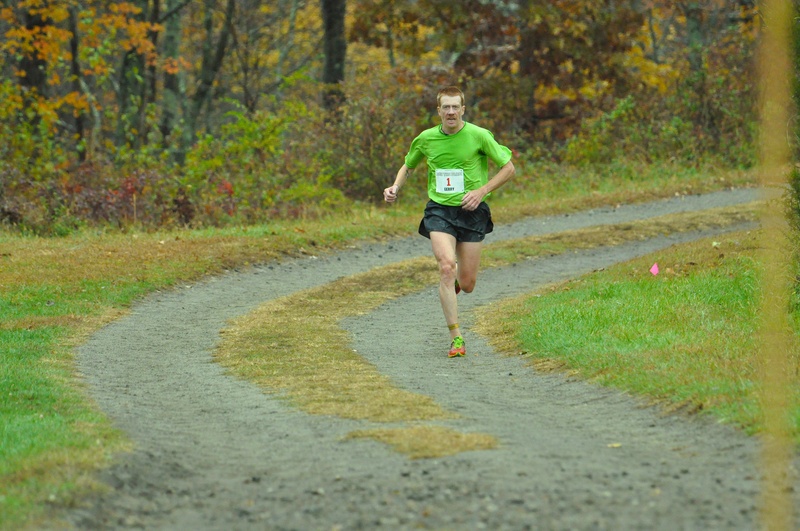 Michael won A Mild Sprain outright and beat Gerry to the finish at Leatherman’s Loop. But Gerry won Where the Pavement Ends and Run The Farm outright when Michael did not compete. In their other head-to-head contest, Gerry (#2 finisher) beat Michael (#3 finisher) in the Sarah Bishop Bushwhack. We give out one age group prize for each gender and decade: for example, we have a prize for best Male 40-49 and another for best Female 40-49. If there’s only one eligible runner in a given category – then they win it! If there are no eligible runners in the category, there is no winner for 2015. Last year’s series winners are here for reference purposes. 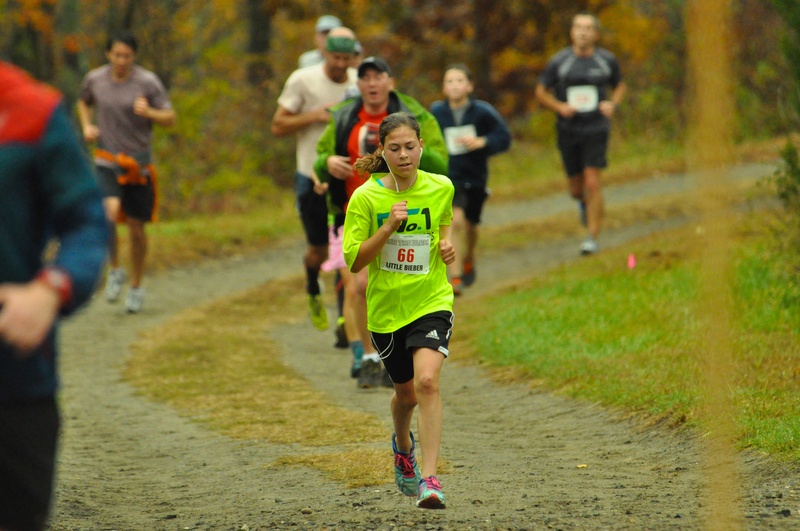 For the Female 13 & Under category, Sydney Bieber simply has to finish the Raven Rocks Run and she will win the age category for the 2015 Trail Mix. 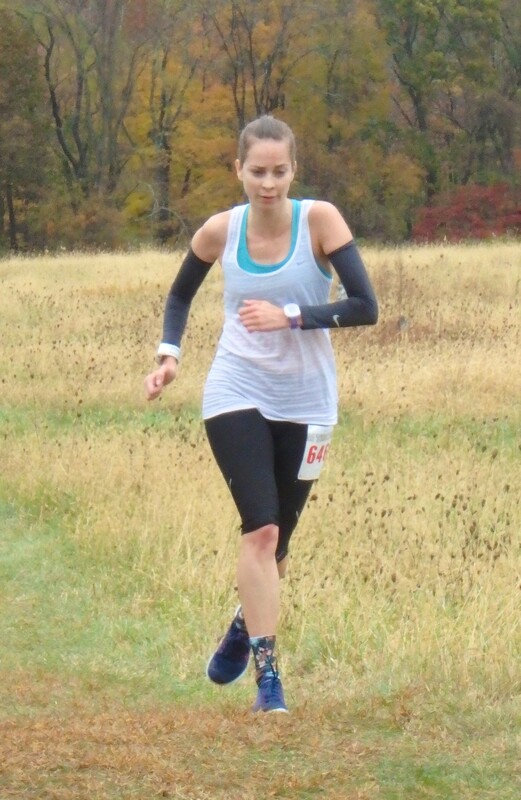 For the F20 category, assuming Kori Krichko either wins the overall title (still possible) or does not compete in Raven Rocks Run, then Erin Lindon would simply have to finish Raven Rocks to lock up the F20 age category. The F30 category is a bit more involved. 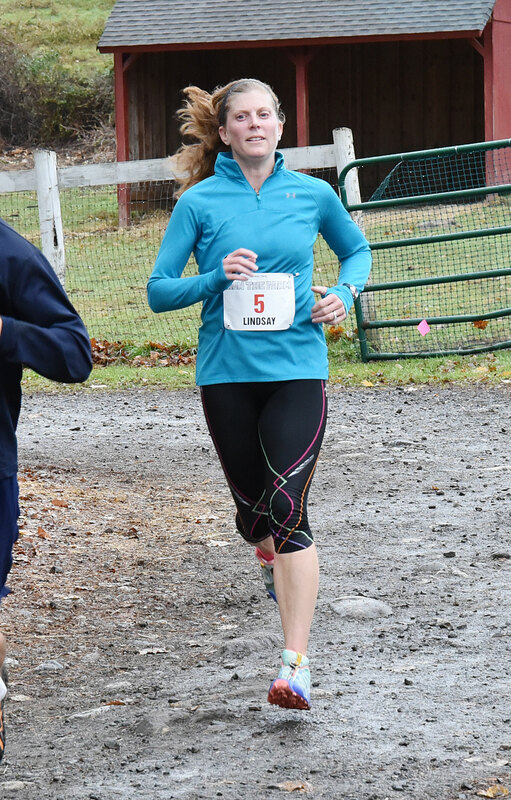 If Tiffany Carson wins the overall 2015 Trail Mix title, then Rachel Massa will be the F30 champ if she races like she has in her prior three Trail Mix events (which is a good bet). The dark horse in this category is Keely Cheslack-Postava who can take over the lead with an above par performance but only if Rachel stumbles — which she hasn’t done to date. The F40 category is the most unpredictable. Lindsay Obrig has a 3/10 point lead over Teren Block. Lindsay edged out Teren in two of the three Trail Mix races they went head-t0-head in. Both runners have 4 races under their belts so this race is a chance to eliminate their lowest score. For Lindsay that is a 94.286 in the Sarah Bishop Bushwhack and for Teren her lowest is also in Sarah Bishop but is a slightly better 95.7145. Assuming both runners compete in Raven Rocks this means Teren has to finish not only higher but several spots higher than Lindsay to make up the gap. Last year’s overall Trail Mix Series winner Karen Haitoff is the dark horse in the F40 category. She would need two sub-par finishes from Lindsay and Teren as well as an excellent finish in her own race to have a hope of catching up. The F50 category is owned by Tracy Lawrence-Black. She already has the 4 races needed under her belt. Even with a perfect 100 point finish, none of the other F50 runners could catch up to her 97.3468 average score. Kathy Jackson needs to finish Raven Rocks to qualify as a Trail Mix finisher. Mary Ann Cox and Judi DeMuro both have run in 5 of 5 races in the series to date and are guaranteed spots in the Loop Lottery if they choose to register for next year’s race. There are no other Women’s Trail Mix participants after F50. For the Men’s Trail Mix age group categories, we have a few close races and a few that are already decided. Eamonn Sullivan is #6 overall and has locked up the Men’s 13 & Under category with a current score of 97.3944. He has raced in all five of the Trail Mix races to date, even beating his Dad, Gerry Sullivan, in A Mild Sprain back in May. Michael Diblasi just has to finish Raven Rocks to secure his Trail Mix M20 title and an automatic selection if he enters the Leatherman’s Loop Lottery in early 2016. No M30 runner has more than 3 Trail Mix races completed. This means it is potentially anyone’s prize, depending on how many competitors in the age category race at Raven Rocks. Assuming he does race, Matthew Potenza has the best chance to take the M30 category with a 93.244 points per race average after 3 races. The next closest runner is Luke Albrecht who has a 90.2709/race average. Luke beat Matthew in the Leatherman’s Loop, but Matthew returned the favor at Run The Farm. Matthew has the advantage but race day can bring surprises. Michael Firer and Dave Lesser are dark horses in this race, and with the potential for a DNS or DNF out there, anything can happen. The M40 category is the absolute most competitive one out there for the Trail Mix Series. With Gerry Sullivan removed from the M40 mix having already secured the Trail Mix title, we have two tough and worthy competitors, Charles Glass and Virgil Bretz duking it out. They are separated by only 8/100ths of a point after 5 and 4 Trail mix races completed, respectively. Virgil has his work cut out for him, needing around a 98.5 or better and to finish ahead of Charles to have a shot at taking the category. Charles just needs to beat Virgil to keep the category. It is worth mentioning that but for an injury just before Sarah Bishop, we would be talking about a three way race including David Hambleton who finished with a high 98+ average in his uninjured races. There isn’t even a dark horse in this race, as no other runner has the points or races to catch up to Virgil and Charles at this point. The M50 is another potentially close race. Longtime Loop runner and mud aficionado Bill Bradsell is in the lead and just needs to finish ahead of or within a few places behind Peter Holland to take the category. Michael Destasio is standing by in 3rd place overall to take over if any of the top 2 stumble or don’t finish the race. And since the top 3 runners have each only run in three Trail Mix races, there is always the possibility of them not competing or not finishing and being knocked out of the standings altogether. In this albeit unlikely case, dark horse Lee Willett would take the category. Tony Muffati has roared into the catbird seat in the M60 category with strong showings in the last three Trail Mix races. If he finishes ahead of the other two M60 competitors he will definitely take the category prize. Even if he finishes well behind them, he will still likely win the category. But since he only has three of the 5 races completed, he needs to complete Raven Rocks to be counted in the Trail Mix standings. This opens the possibility (in the case of a Tony Muffati DNS or DNF) of James McGough taking back first overall in the category. 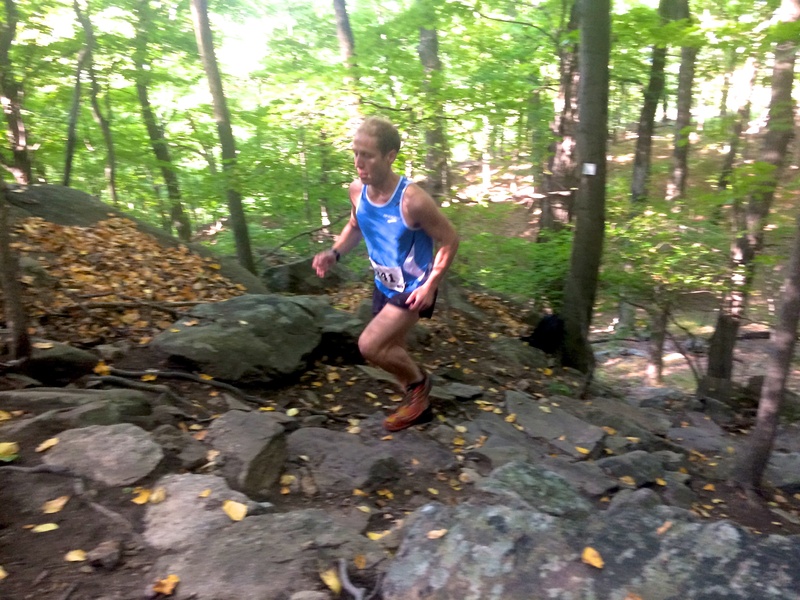 Both Jim and third overall runner Chris Cassone have run in all five of the 2015 Trail Mix races and are already eligible for automatic selection in the Loop Lottery 2016. Last in the list — but most certainly not least — is Tony Godino, Leatherman’s Loop founder and race director. 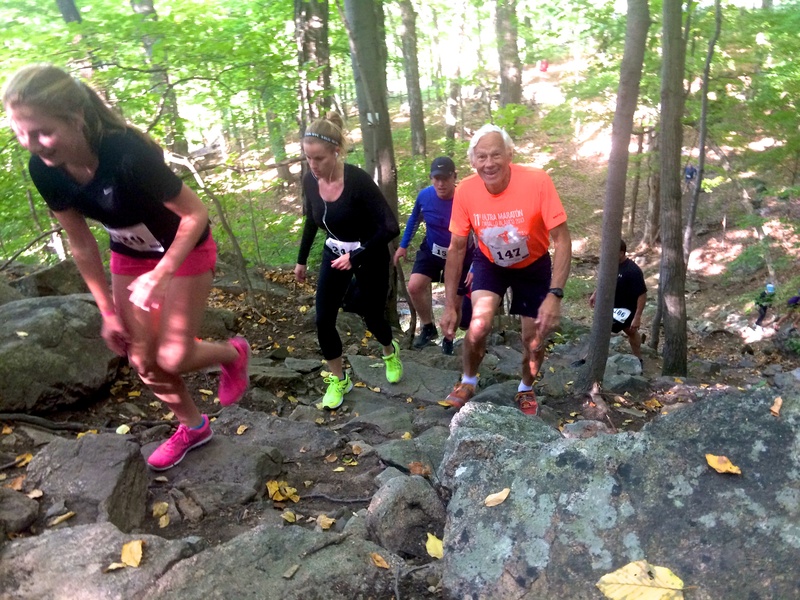 Tony is the owner of the 2015 Trail Mix M70 age category and he just needs a finish in the Raven Rocks Run to solidify this feat. He would be the first race director of a Trail Mix Series race to take any of the prizes. Jerre Skeats, Judi DeMuro, and Mary Ann Cox completed all five 2015 Trail Mix Series races to date. 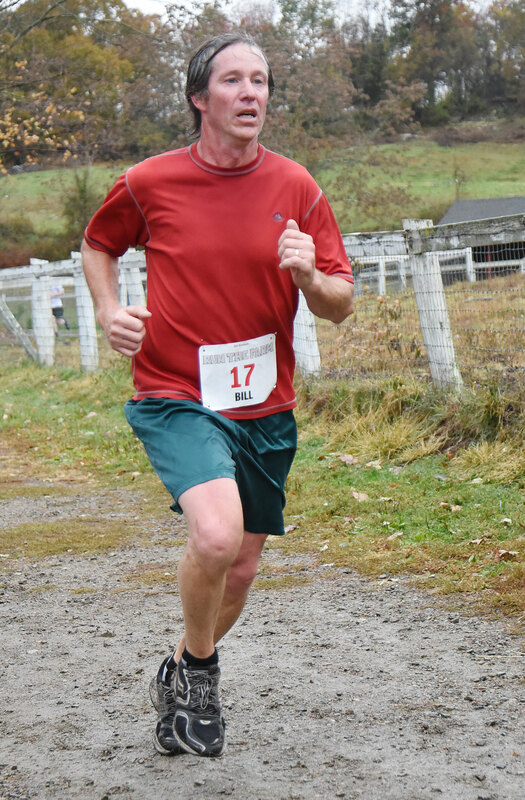 Eleven men have competed in all five of the 2015 Trail Mix Series races to date: Gerry Sullivan, Charles Glass, Todd Henrich, Eamonn Sullivan, Lee Willett, Charles Vaccaro, Alan Wegener, Jeff Thompson, James McGough, Eric Foxhall, and Chris Cassone. Congratulations to those runners who have secured their prizes — and best of luck to all of the rest of the competitors, whether an age category prize is in your future or not, you can be congratulated on a series well run – and savor that automatic selection in the Loop Lottery as you enter it in January 2016!